Emmys for "Mia, a dancer's journey" and "Variety Studio: Actors on Actors"
PBS SoCaL, PBS for Greater Los Angeles, has been honored with a Los Angeles Area EmmyŽ Award by The Television Academy in the Best Entertainment Program category for Variety Studio: Actors on Actors and in the Arts and Culture/History category for the film Mia, a dancer’s journey. 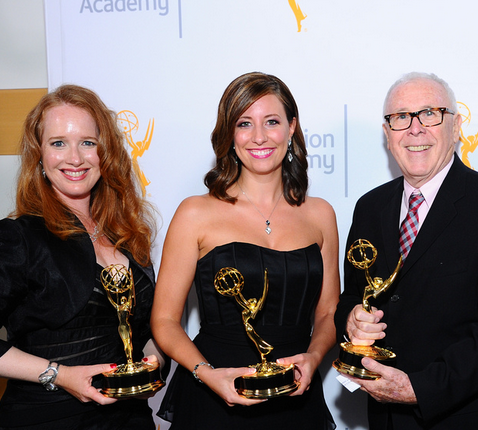 The winners were announced at the 67th Los Angeles Area Emmy(R) Awards presentation on Saturday, July 25, 2015 at The Skirball Cultural Center Guerin Pavilion in Herscher Hall. Mia, a dancer’s journey is the story of celebrated Croatian-American ballerina, Mia Slavenska. The film is voiced by Emmy(R) award-winning actress Blythe Danner and features a daughter’s promise to tell her mother’s story, which becomes a fascinating and moving reflection on historical memory, national identity, and the power of dance. 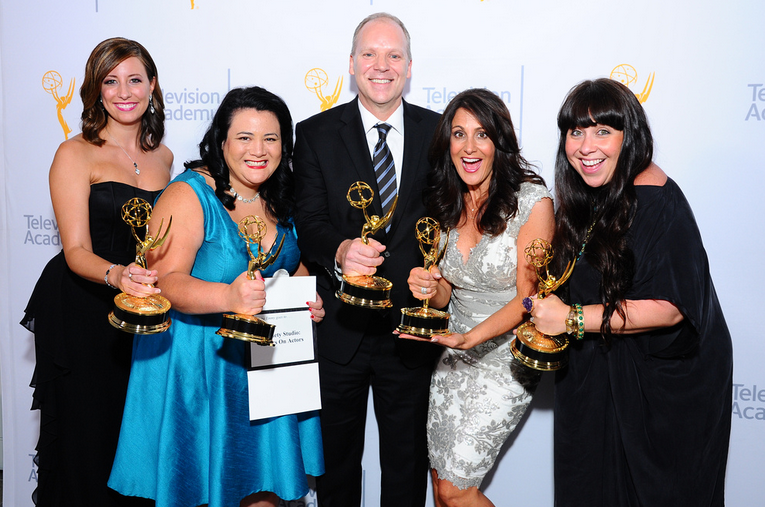 Here is a video of us accepting the Emmy for Mia, a dancer's journey,with a special message to all Croatians! Variety Studio: Actors on Actors is a series of one-hour specials that take viewers inside the biggest Hollywood films and television shows through candid conversations with today’s most acclaimed actors. The winning episode features Reese Witherspoon (Wild) and Michael Keaton (Birdman); Keira Knightley (The Imitation Game) and Ethan Hawke (Boyhood); David Oyelowo (Selma) and Jack O’Connell (Unbroken); and Jenny Slate (Obvious Child) and Felicity Jones (The Theory of Everything). PBS SoCaL is the only station in the Greater Los Angeles area providing the full PBS schedule to Southern California and is home to all PBS program premieres as they are released nationally. As Southern California’s flagship PBS station, PBS SoCaL provides early education, access to a broad array of arts and culture, and programs for, about and by the people of Southern California. PBS SoCaL is the parent to three unique broadcast channels, PBS SoCaL/KOCE-HD, PBS SoCaL Plus, and PBS SoCaL World, which are dedicated to educating, entertaining and enlightening viewers throughout Southern California. PBS SoCaL offices are located in Downtown LA, Century City and Costa Mesa. PBS SoCaL is proudly, our communities’ largest classroom, largest stage for the arts and trusted source of information. Explore the future of PBS in Southern California at www.pbssocal.org. Mia Slavenska Croatian-American ballerina broadcast premiere "Mia, a Dancer's Journey"
Brenda Brkusic Named "Top Business Executive Under 40 Years Old"
(E) Freedom From Despair Nominated as Top Documentary of 2005! (E) Freedom from Despair wins another award!